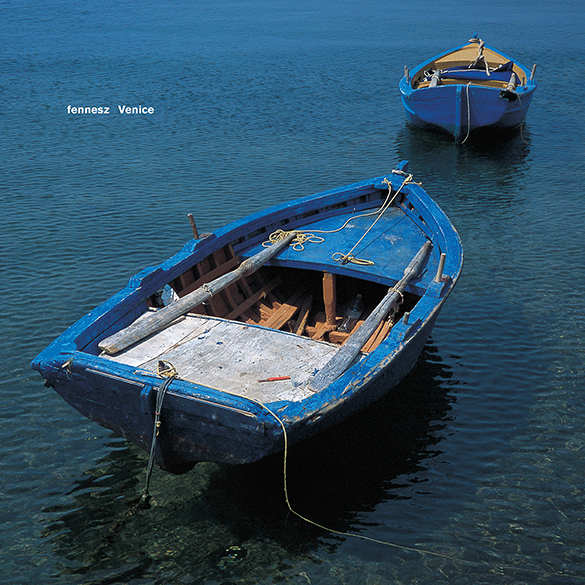 "Venice", the fourth studio album by Christain Fennesz, finds electronic music at a crossroads between its early status as digital subculture, and the feeling that there has to be something more, an emotional quality that rises above noise and moves towards melody and rapture. The Future Will Be Different and Tree complete the Venice sessions in one release… "Venice" was recorded on location in the summer of 2003 and subsequently assembled and mixed at Amann Studios, Vienna in January/February 2004. Pitchfork Media (USA), in a lengthy review, also noted: "Venice's quality extends beyond its sound. Touch proprietor Jon Wozencroft-- through his breathtaking design and photography - continues to fight the good fight against records-as-pure-data by making the CD a value-added prospect.” and The Declaration Online (Web): "Two blue empty row boats left listless on rippling water. Red orange green riverbed foliage reflected in the water's gauzy oil slick surface. An airport enveloped in dull gray stratus and snow. Upon seeing the photography and packaging accompanying Christian Fennesz's latest recording, Venice, it is clear that the record label Touch remains intent on not simply putting out records but creating audiovisual imprints dedicated to inextricably tying sound and vision."